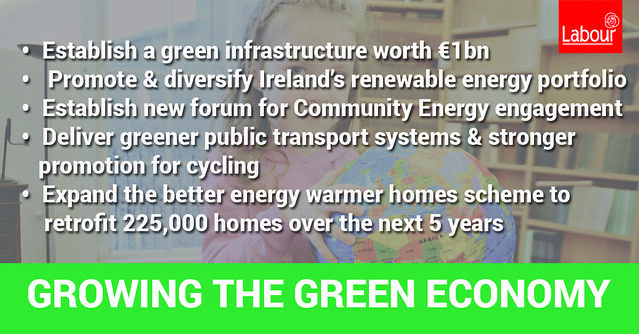 Labour is fully committed to meeting the challenges of transforming Ireland into a green economy that protects our environment and raises living standards for working people at the same time. Labour in Government passed Ireland’s first ever Climate Change law and have prioritised energy efficiency and home heating projects aimed and raising living standards and combatting fuel poverty. Download our policy document in this area (5360k).